Очень проблемно подключить whois private. Невозможно залогинеться с первого раза. Тормознутый саппорт, отвечают через сутки. А теперь еще и домены нельзя от него трансферить. Почему я им должен звонить хрен знает куда и подтвержать непонятно что. 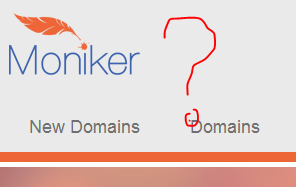 Thank you for registering your domain with Moniker. For security reasons, we must verify your account before processing your domain requests. We will gladly make an exception for you and open up access to your account once you call our support teams and verify your account. To verify your account it will need to be a live call. This again is a onetime call for fraud prevention. Our hours of operations are Monday-Friday 8:00 am EST — 8:00 pm est. Please have the following information handy to quickly verify your account.